Lots of reasons! It exposes high school students to many colleges and helps them figure out the next four years of their life without parents having to take off from work. It saves you time, money and aggravation and keeps students happy and excited to start applying. Choosing a college is one of the most important and costly decisions a young person can ever make (no pressure!). Their career, where they live, lifelong friends, and even a spouse could all be a result of the college they attend. Our goCAMPUSing College Advisors are experts in the college selection and admissions process. We demystify the college selection and admissions process, and reduce the stress of it, all while having fun. If you try to list as many schools as you can, you still wouldn’t be able to list them all. The perfect school could be out there and you may have never even heard of it! goCAMPUSing allows students to learn new ideas about colleges and finally discover which school is the best fit for them. Once upon a time, a high school senior went on a trip (dragged grudgingly by her parents) and was forced to visit Villanova University. 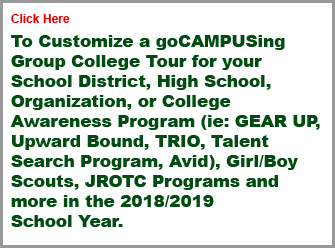 Created by this senior as her Girl Scout Gold Award project, the premise of goCAMPUSing began with the concept that a student should have an opportunity to have their initial college visits with an open mind and without the bias of their parents. Learning what you want in a school is a personal decision and one that ultimately you have to be happy with. Because of this, goCAMPUSing helps students develop a better appreciation of the entire college selection and application process without judgments, lectures or added pressure. Five years later, the now Villanova alum could not have been happier that she nixed the idea of a big state school after falling in love with the campus at first sight. 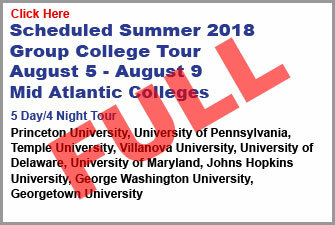 As goCAMPUSing College Advisors and chaperones, we provide supervision throughout the entire tour and also offer a wealth of the most up-to-date knowledge about all of the college’s visited. 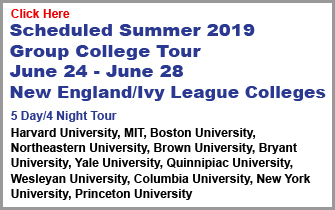 Each goCAMPUSing staffer has visited at least 25 colleges within the last 12 months, so we’re intimately familiar with all aspects of the college selection and application process. 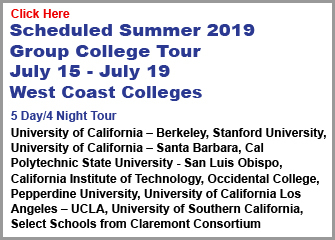 goCAMPUSing’s seasoned team of professionals plan all the college visits and college admissions sessions saving families hours of scheduling, and traveling. Understanding the needs of students we create an all-encompassing package with a variety of schools. While safety, target and reach schools differ from student to student, visiting schools within the full scope gives students peace of mind, comfort and aspiration. The magic is then in the students themselves. Pulled away from the influence of parents and teachers they become involved in the college visit, selection, and application processes. Learn more and find out how goCAMPUSing can help find the school of your dreams!